How can having SAP certificate help in my career ? Many large companies around the world uses SAP as their day to day business operational system. Having invested a lot of money in this system, they would need highly skilled SAP professional talents to help them get the most benefit out of their internal systems. Often, companies that have purchased SAP would need to upgrade or implement new modules, hence, they would rely on talents either from in-house or from external parties (SAP Implementation partners). Since the benefits the company can derive from their SAP system is so critical, the expectation and reward for the right SAP skilled employee or consultant will become more significant. Does SAP Certification give me a guaranteed job? SAP Certification is NOT a job guarantee program. SAP Certification is only to certify you in a particular SAP area that you have mastered the required knowledge of the particular SAP module. However, more and more often, SAP Certification is one of the deciding factors in the recruitment process. Recruiters today are using filters such as "SAP certified" key words in vetting vast amount of resumes. Having SAP Certification is also an indication of your commitment to become an SAP focused worker, hence, if you are a junior worker, your supervisor or your Human Resource department will most likely to give you that opportunity. What is the relationship between ERP and SAP ? ERP is Enterprise Resources Planning, a concept about managing business process, asset and resouces. SAP is a product name. SAP, a Germany head-quarted company, is the largest ERP vendor in the world. When you are an ERP expert, you may not necessary be an SAP expert, however, much of your ERP knowledge will be applicable. When you are an SAP expert, (assuming your main area is the functional modules), you will be considered an ERP expert. What is IDES server and why do I need IDES Server ? Monsoon SAP IDES Server is the official server controlled and monitored by SAP. A student may not need SAP IDES Server to perform exercises, however, it is highly recommended that they do. Being able to perform live exercises using SAP IDES Server will greatly enhance students' understanding of the lessons learnt. Students may already have access to SAP IDES Server in their school or their work place. Alternatively, students can subscribe SAP IDES Server from Monsoon on a monthly basis. Students who purchase the standard SAP eAcademy courses may need to subscribe SAP IDES from Monsoon, and they can do so anytime within the 12 months in which they have access to their course materials. For example, a student who purchases SAP FI eAcademy in January may optionally subscribe SAP IDES from Monsoon for 2 months in July and August. Note however, that those who subscribe the SAP eAcademy Full Package need not further subscribe SAP IDES from Monsoon since their package already inclusive of the 5 months of SAP IDES access. What is the relationship between Monsoon Academy and SAP ? 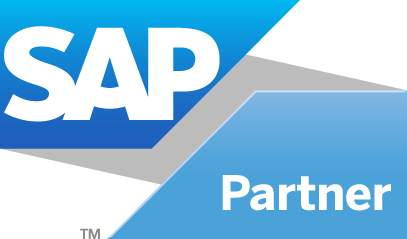 Monsoon Academy is the official authorized education partner for SAP in South East Asia. One unique characteristic about Monsoon Academy is that we only provide ERP education and we also help companies to recruit SAP talents, Monsoon Academy does not do SAP implementation or resell SAP products. Monsoon Academy also does not involve in selling education product from other ERP vendors. What is the relationship between Monsoon Academy and MonsoonSIM ? MonsoonSIM is a product of Monsoon Academy. MonsoonSIM is an ERP learning and simulation game. MonsoonSIM is being recommended by SAP Asia Pacific for all universities in South East Asia. SAP also sponsors the ERM (Enterprise Resources Management) Challenge for 2015,2016 in which students from universities across South East Asia compete to see which team has better understanding or enterprise resources management. Students that are new to ERP or SAP are strongly encouraged to attend a MonsoonSIM workshop before deciding what SAP eAcademy to take. MonsoonSIM covers 45 generic ERP concepts, giving students a good overview before heading on to take any SAP eAcademy module as a subject. Do I need to come to Monsoon Academy to take SAP eAcademy ? No. Starting January 2016, all new students do not need to come to Monsoon Academy. Access to the SAP course materials can be done anytime, anywhere. How to register for a course online with Monsoon Academy ? I have completed my course work, how do I proceed for certification ? When you are ready, Monsoon Academy can assist in such registration if so required. Payment is made through Monsoon. Based on the schedule, you then visit the SAP office to take the online certification test. The test is three (3) hour long with eighty (80) multiple choice questions. You will know if you have passed or failed at the end of your exam. If you pass, certificate will be sent to you directly from SAP Germany. If you fail, you may rebook the certification exam and retake. Note that you may only retake the exam up to a maximum of three times. Can I take SAP courses from a non-authorized centers ? SAP is a very popular field to be in. Hence, there are plenty of training centers that also offer some kind of SAP courses. Monsoon Academy strongly discourage anyone to take courses from non-authorized centers. Some of the reasons are : you may be studying an old version, using old and outdated learning materials and server. Worst of all, you are not allowed to take the SAP certification exam if you do not register through an authorized education partner. What is the relationship between Monsoon Academy and MySAPExpert.com ? How long do I need to finish the SAP eAcademy course ? Typically, you will need to spend about 150 hours to be ready to complete the course. Some students take up to 300 hours, some about 120 hours depending on the capacity of the individual. In Monsoon SAP eAcademy standard package, you are given 12 months to complete the course, so you should have plenty of time. I do not have an IT background, can be I an SAP consultant ? Of course you can. Not every modules of the SAP eAcademy require that you have technical background. ABAP, BW are some of the modules that require that you have some programming skills. Other than that, the rest is open for students from all sorts of background. Some of the Monsoon alumni who have done very well in the SAP industry came from non-IT background such as sales, agriculture, insurance, legal, marketing and general administration.